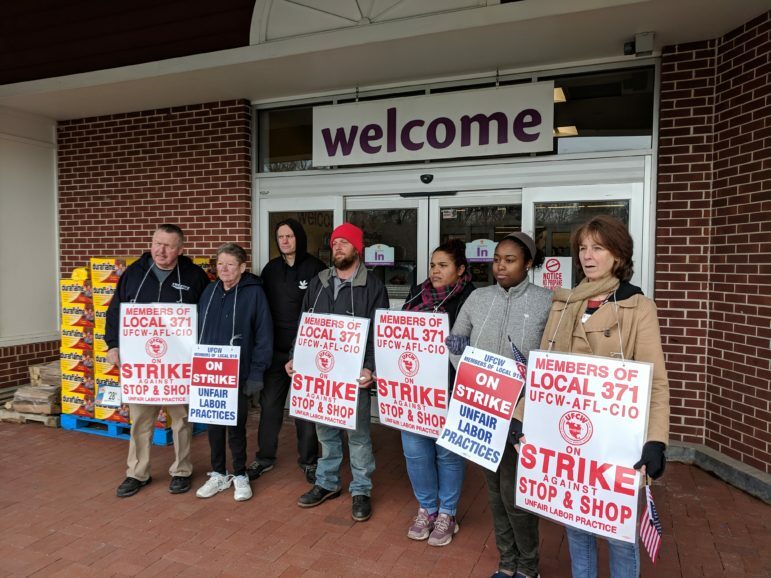 As their fellow union members did across southern New England, at 1 p.m., employees at the two Stop & Shop supermarkets in Darien went on strike, primarily for better health and retirement benefits. Negotiations with the company hadn’t resulted in progress, the employees at the Heights Road supermarket said. The contract expired in February. The strike that began Thursday was the first one against the chain in this area in 30 years, they said. Stop & Shop employees picketing at the supermarket on Heights Road, mid-afternoon on Thursday, just over two hours after the strike began. The parking lot at Stop & Shop on Heights Road had fewer vehicles in it than usual, although the supermarket was still open at about 3:30 p.m., with at least one register still open. 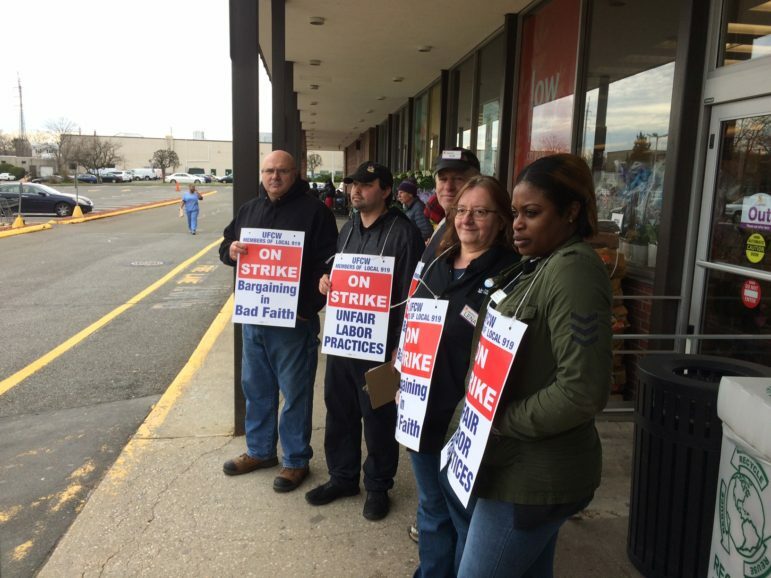 A total of 31,000 employees are represented by various locals of the United Food and Commercial Workers International Union in Connecticut, Massachusetts and Rhode Island, where the strike is taking place. UFCW members picketing at about 3:30 p.m. in front of Stop & Shop in Goodwives Shopping Center, 25 Old Kings Hwy. North. The workers were going on strike “to protest the company’s proposed drastic and unreasonable cuts to health care, take home pay, and customer service as well as unlawful conduct,” the UFCW said in a statement on its website. “The proposed cuts by Stop & Shop, whose parent company earned $2 billion in profits in 2018, would devastate health care benefits, significantly increase health care costs, and decrease take home pay,” the statement said. “Given that negotiations with assistance of the federal mediators are continuing, we are disappointed that the UFCW chose to order a work stoppage in an attempt to disrupt service at our stores. Stop & Shop has contingency plans in place to minimize disruption,” Stop & Shop said in a statement published Thursday on its website. “Stop & Shop remains ready and available to meet with the union locals at any time,” the company’s statement said. Five Darien restaurants each received an "A" — the best rating in the town's A-B-C health inspection ratings system, and two others received a "B" in the seven most recent reports released Thursday by Darien Health Department. None of the inspections resulted in the worst rating — "C" — for any of the establishments.